The music of Edens Bridge stirs the imagination and the soul. 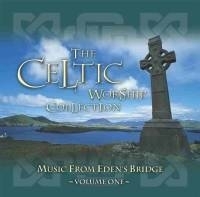 The Celtic Collection: Worship Songs from Edens Bridge features two of their most popular albums Worship and Worship 2. These honest songs contain personal testimony, and lyrics that communicate with our Holy God. 06. Who Can Bind Your Heart? Celtic Worship collection 2 CDS by Eden's Bridge is published by Straightway and is our 25250th best seller. The ISBN for Celtic Worship collection 2 CDS is EMID2631. Be the first to review Celtic Worship collection 2 CDS! Got a question? No problem! Just click here to ask us about Celtic Worship collection 2 CDS. Now Playing: Awesome God Your browser does not support the audio element. Who Can Bind Your Heart?